By now, you’ve probably heard all about the Ku Klux Klan rally that has put the town of Charlottesville in a state of emergency. A man has rammed his car into KKK protestors, people have been hurt and killed, and Neo-Nazis are marching in the name of white nationalism. Perhaps the most surprising thing about any of this, then, is that anyone is surprised by it. For years now, there have been warning signs. 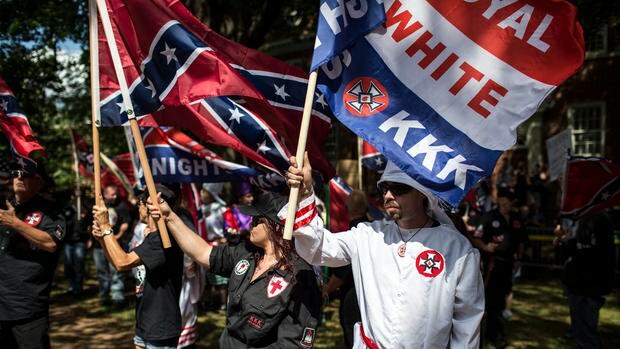 The KKK has been officially active on and off since 1865. Media outlets have warned that racism is nowhere near over in America for longer than anyone reading this has been alive, and race-based lynchings still happen semi-regularly. What’s more, there was specifically concern aimed at the recent election, during which Donald Trump was reluctant to denounce the KKK. The organization rallied behind Trump and celebrated when he was elected, and there was a general worry that this election would empower those who would harm others. Of course, the response to this from opposition was that people were worried about nothing and that modern racism was a myth. During this fiasco, people have reacted with shock that such a large scale KKK rally would be occurring in 2017. Have people not been paying attention, have they been in denial, or do they really not care? I would wager it’s a combination of the three, but it is difficult to tell in what proportion. It should be noted that while President Trump quickly denounced violence in general "on many sides", he only directly condemned the racist KKK itself after being criticized for not doing so originally. It should also be noted that, while police have responded to the emergency, they have been working non lethally, which is strange when compared to the lethal police shootings that have been made for far lesser offenses in recent history. Certainly, the response has been mild compared to similar terrorist events involving minorities like Muslims, or even relatively minor crimes by African Americans. But again, this shouldn’t be surprising. Hopefully, people realize this so that we can be proactive in preventing this from happening again, but the sad fact of the matter is that history also shows that it would not be any more surprising than the event itself if people forgot it very quickly and nothing changed. The need for action is staring the country and its leaders in the face, and what we need right now is something that is genuinely surprising for once, or else this will happen again and again.